Populists must not be allowed to have the final word on migration, President Marie-Louise Coleiro Preca stressed yesterday. 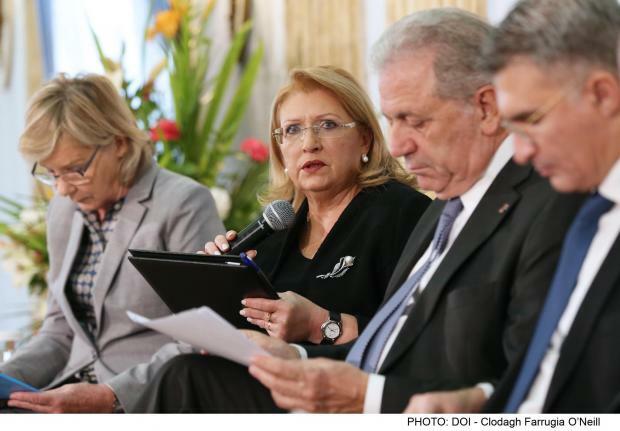 In a closing address at a conference called ‘Lost in migration: Working together to protect children from disappearance’, Ms Coleiro Preca said politicians must rise to the occasion and prove their leadership in what was a crucial time for the EU. The President said inadequate standards of care were being provided for migrants across the EU, and those worst affected were migrant children. Short-sighted solutions were unacceptable, she said, as there was a need for long-term, deep-rooted reforms to challenge the status quo. She said this very status quo was creating a missing generation of migrant children. These children had been drawn to Europe by the promise of democratic societies, yet were not receiving the necessary protection, the President said. She said that politicians needed to ensure that Europe’s role as a promoter of human rights and democracy was not relegated to history books. 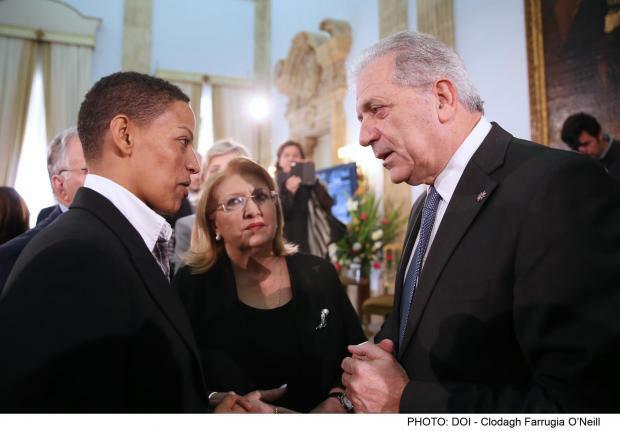 On a local level, the President said Malta had survived oppression and various struggles during its history. She said that the country now had the opportunity to reach out and help others. Ms Coleiro Preca said the EU presidency gave the island the opportunity to show Europe the worth of the Maltese. The solidarity and love of the Maltese could contribute to transforming Europe. Addressing the same conference, EU Migration Commissioner Dimitris Avram-opoulos warned that some migrant children were suffering sexual abuse at the hands of people smugglers. EU Commissioner Avramopoulos at yesterday's conference. Mr Avramopoulos said that more on-the-ground action was needed across Europe to protect migrant children. “If we want to prove we are a civilised people, we must declare a war against smugglers… here in Malta, Libya, everywhere,” he said. “Some politicians are good at rhetoric and very bad at doing things. Let’s put more pressure on member states to take action,” Mr Avramopoulos said. The commissioner said politicians risked losing sight of the bigger picture if they merely pandered to voter sentiment on the “unpopular” topic of migration. He hit out at the fact that only 71 unaccompanied minors had been relocated from Greece and Italy. He also spoke of the need to improve migrant reception facilities and train officials who came into contact with minors. Home Affairs Minister Carmelo Abela assured him Malta no longer detained migrant children and their families. “They are definitely not detained,” he said. During question time, a representative from Unicef insisted that children needed to be moved “from the footnote to the text” in the legislative process. She questioned how the EU could “pretend to be concerned” when only 71 migrant children had been relocated. Italian MEP Caterina Chinnici said migration had highlighted the weaknesses in the EU’s management systems. Ms Chinnici said it was essential to set up priority lines for the processing of migrant children at reception centres. She said that the assessment of their applications for asylum should be treated with priority. The conference was organised by the President's Foundation for the Wellbeing of Society together with Missing Children Europe.